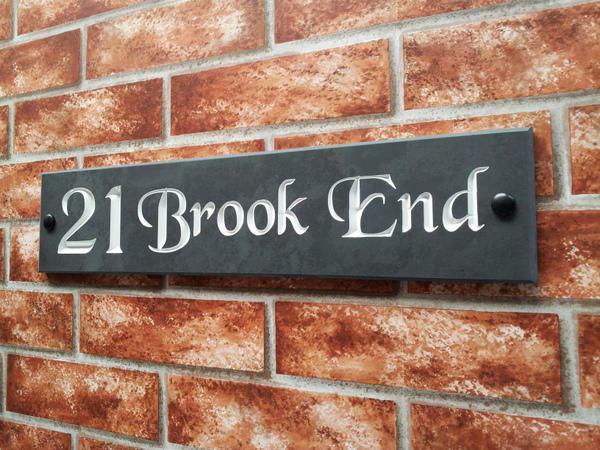 This traditional product is made on the Isle of Wight and is suitable for a house name or address in a single line of text. Our two signs have just arrived this afternoon. We are very pleased indeed with both of them ~ they look very smart. I’m sure we’ll be the envy of the neighbourhood once we get them fixed in place. 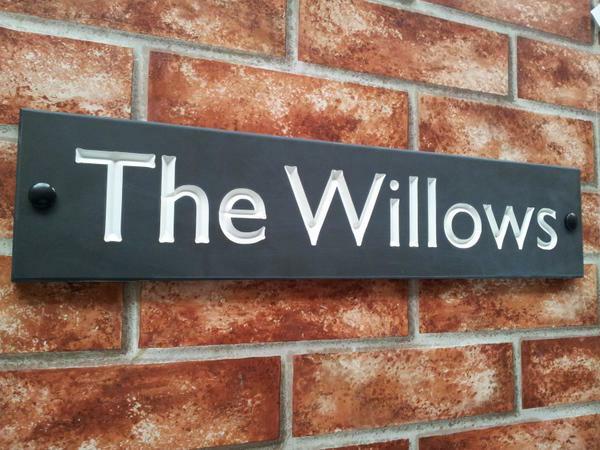 Thank you so much for all your trouble with advising us on detail and producing such very high quality signs ~ we couldn’t have wished for more. Sign arrived today. Delighted with the quality. Thank you very much. Sign arrived!! We are very pleased. Looks great on old oak door. Many thanks. 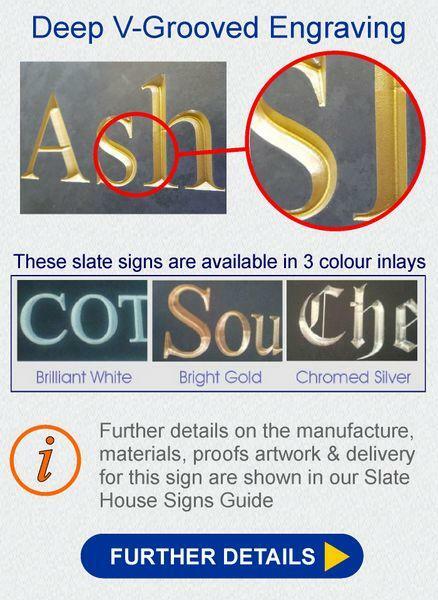 Just to say thank you very much for my house sign detailed below received today. I am very pleased with it's quality and the efficiency of your service. Thank you for ensuring it arrived before the beginning of September. 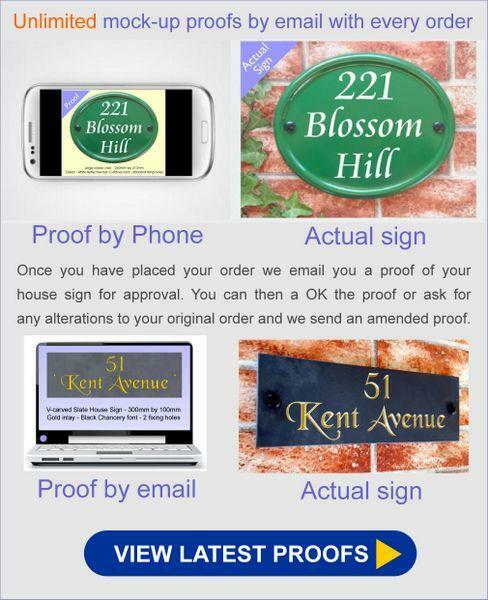 Hi we have received the sign today! Very happy lovely fantastic job. Good service, good product. Very helpful response to telephone query. Would recommend to others. I ordered this on behalf of my sister as a wedding gift to her husband. 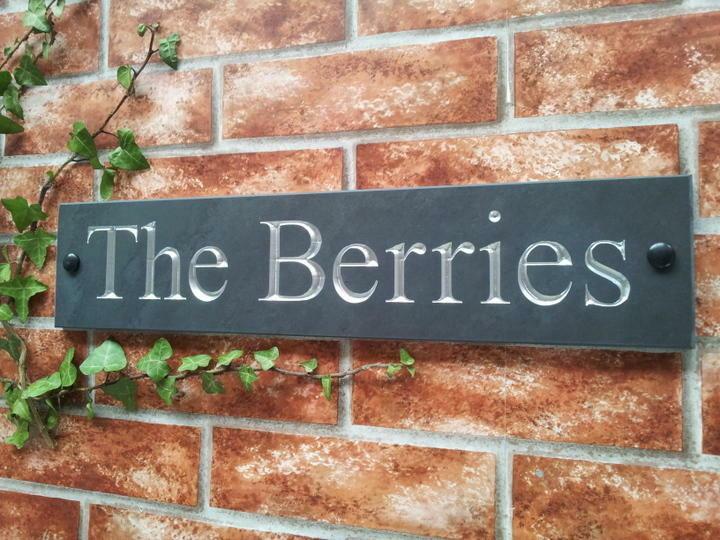 My sister and I were delighted with the standard of service and the excellent quality of the finished sign. My new brother-in-law was equally delighted with his gift. Many thanks for helping to make their wedding day special.